This early style ECU does not require any programming to the car and as such will just plug and play. It represents the standard we aspire to achieve on goods marked as such. With a plethora of parts available on the shelf, we should have the part you require. Part Number: YWC106240 [D], MKC104001. Model: MG F VVC. Part: ECU Kit. 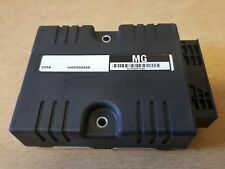 New Genuine MG Automatic Gearbox ecu Part Number UHC000320. ROVER 45 25 without shift interlock. UNIT 1 OLD HALL INDUSTRIAL ESTATE. Manufacturer Part Number FTS105050. Reference OE/OEM Number FTS105050L. MG ZT Rover 75. Die Teile sind gebraucht aber in guten Zustand. In der Situation der Reklamation schicken Sie den Teil auf eigene Kosten. Removed from a '51' plate '2001' Rover 45, 1.4 Petrol 5 Speed Manual in good working order. Engine Code - 14K4F - 1.4 Petrol K-Series. Vehicle Designation - Rover 45 Hatchback. Colour Code - MNX - Platinum Silver. Kit d’entretien d’allumage pour MG Midget 1275cc toutes années. Résultat - pas d'étincelles au niveau des fiches. Une Red Rotor. ROUGE ROTOR Développé et conçu par Distributeur Docteur. Ces bras LUCAS rouge style rotor ne vous décevrons pas. Engine ECU Delphi 96394271 xacu. Chevrolet Daewoo Kalos. Fully tested and decoded so will plug and play to your car, no further coding or wire cutting necessary. Best of Rover Spares LTD. With a plethora of parts available on the shelf, we should have the part you require. 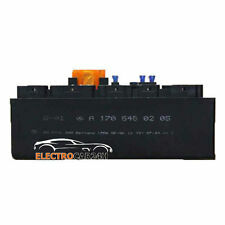 MG ZS, Rover 45 How do I know if my module is faulty.?. No, you just fit the module back in, no remapping / reprogramming required. Where is the module located. Disconnect battery and wait 10 minutes before removing the module. ROVER PART NUMBER IS YWJ101200. ROVER 200, 25 AND MG ZR. THIS IS AN AIR BAG MODULE TO FIR A.
MGF MK1 Airbag ECU (103380). MG Specialists Since 1982. Wales only;. Allumage négocier kit d’entretien pour tous les Triumph Spitfire 1500cc et MG Midget 1500cc. Résultat - pas d'étincelles au niveau des fiches. Dans certains cas cela on sait prendre 3-4 semaines. Distributeur Doctor © 2010. Check your original unit to make sure it's the correct unit for your car. If your not sure then send us the numbers from yours and we can check. Lenksensor / Steering Angle Sensor. Audi A6 A7 Q7. / Teilecode. MG ZT ROVER 75. TAILGATE RELEASE CABLE. Only 3 available. It represents the standard we aspire to achieve on goods marked as such. With a plethora of parts available on the shelf, we should have the part you require. Best of Rover Spares LTD.
Jatco Made in Japan. 31036 PR OO2. In der Situation der Reklamation schicken Sie den Teil auf eigene Kosten. AUDI A4 B7 CABRIO. ROVER PART NUMBER IS YWJ101210. ROVER 200, 25 AND MG ZR. THIS IS A AIR BAG MODULE TO FIT A. 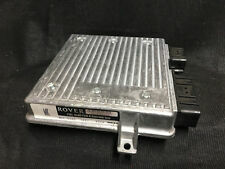 Alarm receiver for a Rover 75 or MG ZT, will fit all ages and variants of these. Part number YWC104500. UNIT 1 OLD HALL INDUSTRIAL ESTATE. Used multi function unit removed from a MGTF with no electrical issues. 6955925 e60. BMW E53 X5 4.8is. In der Situation der Reklamation schicken Sie den Teil auf eigene Kosten. Tout adapté MG Midget 1098 et modèles de 1275. Une Red Rotor. Côté bouchon d'entrée Points de rechange gratuites et condenseur. 1 X Points de vis unique jeu gratuit. Kit de service du distributeur pour Lucas 25 4 distributeurs avec une. We are more than happy to answer. ALL OF OUR PARTS ARE MARKED VISIBLY AND INVISIBLY TO SAVE ANY MISUNDERSTANDING. us beforehand. MMI PANEL SWITCHES 88T0919609 WFX. AUDI A4 A5 Q5. In der Situation der Reklamation schicken Sie den Teil auf eigene Kosten. Removed from a 190 2006 mg zt. Sensor Niveausensor. / Teilecode. Die Teile sind gebraucht aber in guten Zustand. Audi A8 4E VW Phaeton Touareg. AUDI A4 A5 Q5. In der Situation der Reklamation schicken Sie den Teil auf eigene Kosten. 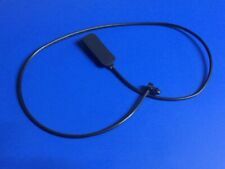 AMI MUSIC INTERFACE 8T0035785A. FULL ECU KIT FOR A 2.0 PETROL KV6 ROVER 75 . For Sale is a ECU BCM Control Module Unit. Part Number: 10276566/01. Removed from a 2016 MG MG3 1498cc Petrol 5 Door Hatchback. Please see item description for more information, you will receive everything you see in the images. PART NUMBER: YWC001541. MGF, MGTF, Rover 45 / 400 / 25 / 200. Genuine part in good used condition which has been virginised(wiped) and will replace your existing matching ECU. Needs coding in with Rover T4 diagnostics.